Now - OSM Astro-Nautilus Redborg Syndicate! Surprise! 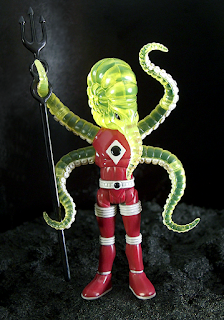 Onell Design launched Outer Space Men Astro-Nautilus Redborg Syndicate! It's $22 and is on sale now - there may even be some left if you click here. Does this one look familiar to you? The Outer Space Men Cosmic Radiation Metamorpho is new, but a glow in the dark Metamorpho was sold way back in July of 2010 as the very first release of this line, a San Diego Comic-Con exclusive. I reviewed it shortly before Figure of the Day launched - and it's different. This new one has a greenish hue rather than a bone one, and has completely different decoration. This new one is better. 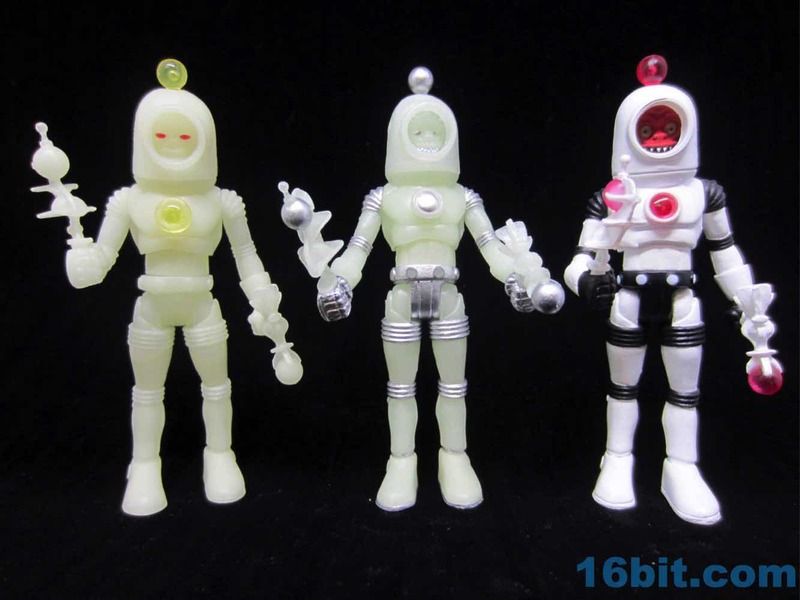 Cosmic Radiation Metamorpho - New The Outer Space Men Figure Surprise Drop! He's $20 and on sale now. A review will be here on Wednesday!